One thing about Louisiana politics: the only constant is that the rumors are never ceasing. Another is that even though the rumors may be baseless, sometimes the logic behind them can actually make sense. That is, if anything in Louisiana politics makes sense. And so it is that those close to Gov. John Bel Edwards have been called upon to deny rumors—and they have—that he is courting the Republican Party as he ponders the political practicality of a switcheroo, a-la Buddy Roemer, John Kennedy, John Alario, and former U.S. Reps. Billy Tauzin and Rodney Alexander. Still, according to a high-ranking State Republican Party official, Edwards’s intermediaries have been talking with State Republican Party Chairman Roger Villere about that very possibility. Efforts by LouisianaVoice to reach Villere for a comment have been unsuccessful. Gov. Edwards’s office categorically denies the report, hinting if anything, it was the Republican Party that asked him to the dance. Either way, it’s now got both sides flinging rocks at each other with the next governor’s election nearly three years away yet. As with any decision of such magnitude, fraught with perils as it would certainly be (it worked for Kennedy and Alexander but not so much for Roemer), there are plenty of pros and cons. 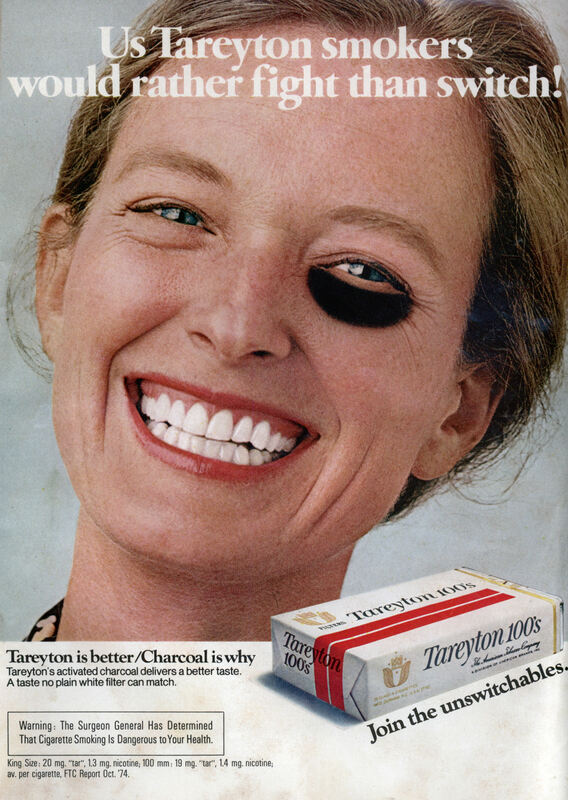 Remember those old (and I do mean old) Tareyton cigarette ads in which some happy smoker sporting a black eye proclaims that he/she would rather fight than switch? Well, in Edwards’s case, it could be that he’d rather switch than fight. The worst-kept secret (if, indeed it is still a secret to anyone) in the state is that Republican Attorney General Jeff Landry is in a four-year campaign mode for the governorship. And Landry takes verbal (and legal) swipes at Edwards at every opportunity in his blatant self-promotion. There’s also this: as a Republican governor, he would be able to do what he could not as a Democrat: name his choice for Speaker of the House. Another, a former state official, said, “The Democratic Party in Louisiana is gravely disappointing and I have to wonder the extent to which what is happening here is replicated in other states and at the national level, i. e., if Democrats in power have essentially given up on their own party. “As you know, (State Rep.) Karen Carter Peterson and former U.S. Sen. Mary Landrieu tried to talk JBE out of even running (they wanted to support Dardenne) and it took him forever to get support from the national party in D.C.
Another possible benefit to crossing over is Donald Trump. As vindictive, petulant, petty, vile and vicious as he is crazy, Trump would never hesitate to hit Louisiana where it hurts if it had a governor who insisted on partisan politics: the state treasury. Louisiana already is the second most-reliant on federal funds of the 50 states. We are behind only Mississippi (but barely) in slopping at the federal trough. To see a cut in the influx of federal dollars for a variety of programs would only add to the already draconian budgetary woes facing the state. On the con side, there is the obvious potential political fallout. Finally, a Baton Rouge attorney said Edwards has been a difficult governor to figure out. “He is a real enigma and very disappointing, thus far, to me as a moderate conservative who voted for him. I cannot imagine how the progressives and the left feel at this point. As we said, one source wired into the Edwards camp says it just ain’t so but we’ve all heard promises and denials before from our elected officials that in the end, turned out to be just so much hot air. He already is pro-life and pro-gun so half the battle’s won if he decides to go over. So, the question is this: is this a non-story story on a slow news day or something major in the offing? The rumors and the denials are equally strong at this juncture so we’ll wait and see. Carbo quickly followed with a second text that accused the Louisiana Republican Party of planting the rumor: “First the state GOP floats this idea, then backtrack(s) when the governor shows no interest. The governor did not have a single conversation regarding political parties. He’s too busy cleaning up their (Republicans’) budget mess. Roger Villere should stick to negotiating illegal Iraqi oil deals. He’s better at that than party leadership. “Unless there’s a source named, the onus is on them,” he said. His reference to Villere’s “negotiating illegal Iraqi oil deals” was in reference an April 12, 2016, LouisianaVoice STORY about Villere’s and Lt. Gov. Billy Nungesser’s comedy of errors in being taken in by a con man promoting an oil deal with Iraq. All of which just serves to support our advice: Never listen to what politicians say. In this case, observe instead, the governor’s action on the issues: taxes, education, higher education, etc. to get a true sense of which direction the political winds are blowing. But above all else, remember that it’s the sincerity of the B.S. factor that trumps everything else (and no, that’s not a reference to anyone). JBE is an unmitigated disaster. I’m not sure either party wants to claim him. But either way, he won’t be re-elected. You hit the nail on the head! I can tell you first-hand there’s consternation concerning him in the African American constituency for damn sure!! He got 97% black support in 2015. He changes that “D” after his name to “R,” and he won’t get 97 black votes TOTAL in 2019. Also, while the Democratic bench may be weak, I can hardly envision the entire party sitting out the 2019 race. They’ll field someone, and I’ve long speculated that Kip Holden may likely run even with the assumption Edwards remains a Democrat. Heck, that may be what’s behind the contemplated change! If he’s gotten this desperate, he needs to do the respectable thing and repeat Blanco’s act and announce he won’t be a candidate for re-election. If he switches, I say he winds up in no man’s land. He loses his core supporters and can’t remotely match Landry for the conservative vote. Hence, just like Roemer, he doesn’t even make the runoff! I don’t think there is a path for him to victory in the next election. Last time, he would have lost to every GOP candidate except Vitter. Switching parties means he loses the Democratic voting block and the conservative base. I don’t think he even makes the runoff. If the observer thinks the Democratic party in Louisiana is ‘gravely disappointing’, he has no idea what is ahead if he hitches up with Roger Villere. None of them have the best interests of the people of Louisiana at heart which puts them on the same parallel as the media in my book (present company excepted). During the election I felt Edwards was more a Republican than a Democrat, nothing that he has done to date makes me think or feel differently. Regardless, he is a step above anyone else, except perhaps Dardenne, who ran in the last election. I voted for him then, but I do not like many things he has done, or not done as the case may be, however, that was my expectation when I cast my vote. JBE joining the GOP? Get ready to see some ANGRY folk in the GOP if it becomes reality. You think Scott Angelle got clobbered, just watch JBE’s numbers plunge in 2019. Nevertheless, IF he is seriously considering a switch, it’s because his big-money contributors are demanding it as a condition to continued financial support. They’re not going to throw good money after bad on a sure-to-lose incumbent running as a Democrat with Edwards’ liberal track record ALREADY in place. Further, Landry will clobber Edwards in fundraising (no matter what party Edwards is in). The Super PAC oil and gas money alone will clobber Edwards!! Commercials running depicting Edwards going to the wall on an Executive Order to let men use the ladies’ public restroom. Yeah, this is going to be GOOD!!! Simply change the word “Caldwell” to “Edwards” in the above quote, and I say Pinsonat can make the exact same utterance word for word and be spot-on once again. We need to remember that Pinsonat is always certain, but sometimes wrong, as I believe he was when JBE got elected. If JBE switches parties the Democrats may as well disband in Louisiana. As noted in the piece, they really didn’t want JBE as a candidate, but they had no alternative then nor do they now. Any Democrat who might have a chance in a race for governor has better sense than to run as long as Trump reigns supreme. The top politicians with a D behind their names here want to be mayors, not governors. I guess I really am starting to have a little too much fun with how all this is playing out for JBE, huh? DON’T DO IT! JUST DON’T DO IT, JBE!! Based on Carbo’s response vis-a-vis the Dore/Villere post above, one can only come to the conclusion that somebody is lying. How very unusual, no? Unquestionably, and I think we all know it’s Carbo. I mean to even suggest any Republican leader was trying to convince JBE to join the GOP then “backtracked when the Governor showed no interest” is nuts! Of course, JBE and his underlings “don’t lie, ch………………”. JBE Is now jammed into a corner in having to stick with the Democratic Party, and whomever made the quote that Landry wouldn’t be “able to buy a chick-fil-a sandwich” if Edwards switched is most certainly short more than just a few bricks. Between Super PAC funds and direct campaign contributions, look for Landry to be able to raise $18 – $20 million+. Funding is one problem Jeff Landry is NOT going to have!! The ADVOCATE was quick to jump in on this one and gave credit to LouisianaVoice for starting the discussion. Great job, Tom, you old liberal blogger, you. Well, if this was JBE and his inner circle’s means of floating a trial balloon to get a sneak preview of what his reception into the GOP would be like, I guess they got their answer!! I’d say JBE is stuck with date that took him to the prom dance, and I for one wouldn’t want to be in his shoes! !